Swagtron T5 Review - A Budget Hoverboard, But Is It Any Good? Swagtron T5 Review – A Budget Hoverboard, But Is It Any Good? 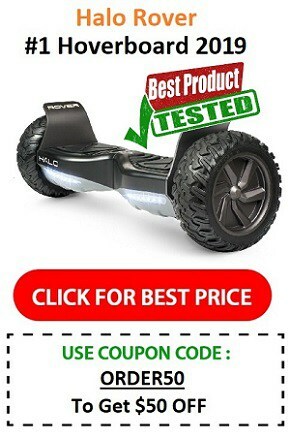 Hoverboards with UL 2272 certification have traditionally started at around $400 for a decent board, but is it possible to get a safe, properly certified self balancing scooter for even cheaper? 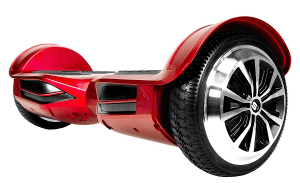 In this article we’re going to be looking at a “budget” hoverboard that meets all safety criteria. Swagtron is a name that’s becoming more and more recognizable by the second, despite having been founded just over a year ago, as they keep putting out one new model on the market after the next. They certainly have a whole lot of products to look over, but the Swagtron T5 hoverboard is the one that caught our eye as it represents a rather interesting opportunity for those of us who don’t have thousands of dollars to spare. This is by far one of the cheapest models available that still has full UL 2272 certification and safety features and the price will certainly be enticing to many. In our Swagtron T5 review we’ll look at this product in depth to see if it can live up to other hoverboards on the market, despite its affordable price. 2 How Is Swagtron T5 Different From T1 And T3? 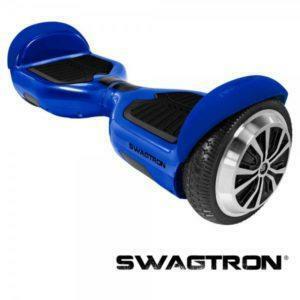 3 Does the Swagtron T5 have the necessary safety certification? 7 Final verdict: Is the Swagtron T5 worth the investment? It Weighs 18 pounds and measures 7 by 3.8 by 24 inches, the same as virtually every other hoverboard out there, only lighter. The top speed is measured at 7 miles per hour (11.27 km/h) with the maximum travelling range at 7 miles. As you might have guessed, those two factors depend on the kind of terrain you’ll be travelling and how hefty you are. The charging time for the battery is around one hour. Each wheel has its own 200 watt motor. There is the learner riding mode if you are just getting started, as well as a standard one if you already know what you’re doing. The battery has Sentryshield Multilayer Protection making it resistant to impact, scratches and heat. It’s environment-friendly and produces absolutely no emissions. You can get it in either black or white. 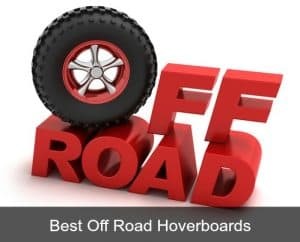 It is actually one of the cheapest UL2272 hoverboards on the market today – only a few months ago we could only have dreamed of getting a UL certified hoverboard at such an affordable price. How Is Swagtron T5 Different From T1 And T3? As was mentioned before, Swagtron is in the habit of making more than one model to try and cater to all of their customers, and there are actually T1 and T3 models of the hoverboard that came before the T5. For more detailed info on Swagtron T1 vs T3 vs T5 see a comparison of the 3. It costs $50 more than the T5. It can support a maximum weight of 220 pounds instead of 187lbs. The maximum speed is at 8 miles per hour and the maximum travelling distance 12 miles. The Swagtron T5 speed is is 7mph – not a huge difference. The wheel motors are 250 watts each. It weighs 22 pounds, 4 more than the Swagtron T5. Apart from black and white it’s also available in blue, red, gold and pink. The Swagtron T3 actually costs $150 more than the T5. The wheels have 300 watt motors. It has three riding modes: learner, standard, and advanced for those who already have a considerable amount of experience and want to take their abilities to the next level. It also comes with a built-in HQ audio Bluetooth speaker, a carrying strap as well as a Swagtron iOS and Android App. To give a short recap, the Swagtron T5 hoverboard is the cheaper choice out of the three, but comes at the cost of a slightly less impressive performance – the motors are not quite as powerful and you don’t quite get the same speed and range as with the other models. The differences are only minor though, and certainly wouldn’t be noticed by someone new to hoverboarding. The T3 is the best in terms of capabilities with all of its bells and whistles, and the T1 is somewhere between the two (the Swagtron T1 tends to be the most popular choice). For kids or hoverboard newbies the T5 would certainly be sufficient. 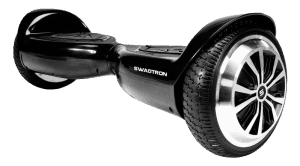 Does the Swagtron T5 have the necessary safety certification? The T5 model, like many other Swagtron products, comes with a UL2272 certification which attests to the fact that it’s reliable and follows the quality and safety standards of the industry. In addition, it was also the only model to pass the 10-ton crush test as well as receive the UL1998 (Standard for software in programmable components) and UL991 (Standard for Tests for Safety-Related Controls) certifications. In other words, it’s been tested and approved across the whole board. You can buy any of the Swagtron hoverboards with confidence. It doesn’t take a rocket scientist to see what main benefit the Swagboard T5 brings to the table: the price. It’s actually quite cheap compared to virtually all the other options out there and still offers a decent enough performance that you can use it on a daily basis for prolonged periods of time. The lower weight makes it easier to carry, and while four pounds may not sound like much to an adult, if you’re buying it for your kid they will definitely notice the difference. The learner riding mode is also quite useful for those who are making their first foray into the world of hoverboards. Finally, all the tests and certifications it passed are certainly noteworthy and stand as a very rare official guarantee of the board’s reliability and sturdy construction; it’s quite difficult to find any other board in the same price range with such certificates. On the other side of the coin, there are some differences that some people won’t be able to ignore. 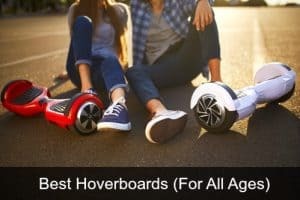 To begin with, while the top speed and travelling range are acceptable (and possibly preferable for a younger child), more experienced hoverboarders will most likely find that the Swagtron T5 doesn’t quite stand up to the competition – for $50 more the Swagtron T1 might be a better option. While your specific situation will determine whether the lower maximum load will be a problem, obviously the higher the load it can carry the better. This will only carry up to 187lbs, which is lower than the average max weight of 220lbs that most hoverboards can carry. Lastly, while it may not be a huge deal, there are a few people out there who reported some negative experiences with the company’s customers service, which is typical for smaller retailers that haven’t started very long ago, so keep that in mind if you need to contact them. The Swagboard T5 comes with a 1-year warranty on manufacturing defects and the like. This means that if technical issues arise during the first year of purchase you will be able to get a replacement, provided you’ve only been using it as instructed. Final verdict: Is the Swagtron T5 worth the investment? Despite its lesser performance and more limited features, the Swagtron T5 smart board self balancing scooter remains one of the best choices for children and beginners. It’s one of the lightest models so easier to carry, has all the safety certifications out there you could ask for, is made with durable, fire resistant materials, and is fully equipped to safely introduce you to the hoverboarding experience at an extremely reasonable price… after all, you don’t want to spend thousands on your first board only to figure out that you don’t actually like it. 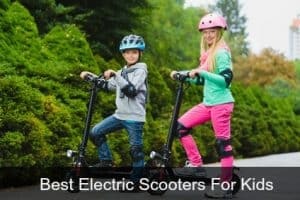 The Swagtron T5 is an option that deserves to be seriously considered for first-timers and I certainly wouldn’t hesitate to buy it for my own kids or as a gift. The only downside really is the lack of colors – it only comes in black and white. 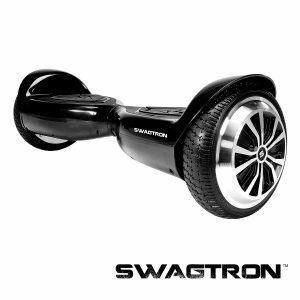 As with all the Swagtron products, it can be bought on the official website. However there are many other options if you have a favorite retailer to buy from – personally I prefer Amazon for price and FREE shipping, but you can also get it at Best Buy, Modells, Target, Toys R Us and more. If you enjoyed my Swagtron T5 review please take a minute to share using the buttons above! When it comes to value and affordability, the Swagtron T5 can’t really be beaten. It doesn’t have quite the same capability in terms of power and speed (the differences are only minor), but that just makes it an even better choice for kids or beginners!